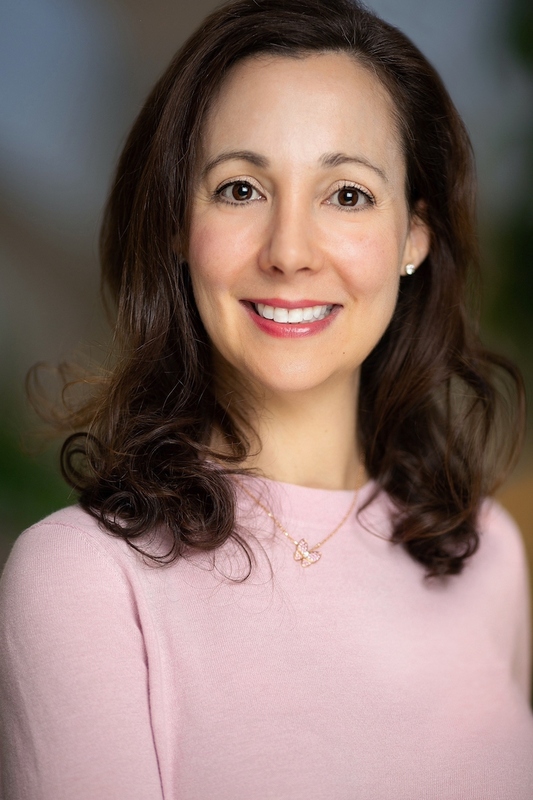 SEEN brand Co-Founder, Dr. Iris Rubin, M.D., is a board-certified dermatologist with laser and cosmetic fellowship training, a graduate of Harvard Medical School and former pediatric laser surgeon at Children’s National Medical Center. The brainiac girl boss has turned her attention to creating a new haircare line that is kind to skin. SEEN Skin-Caring Luxury Hair Care was born from Iris’ personal experience with breakouts as it related to her personal hair care. Deciding that she (and her patients) shouldn’t have to choose between beautiful hair and beautiful skin, she holistically re-thought the formulation process for hair care. “As a dermatologist, I saw patients struggle with breakouts – including the anxiety and insecurity that come with them. The worst? When nothing seems to work and we can’t get to the root of the issue. This got personal when I noticed frequent breakouts after salon visits. I did my research and traced them back to a surprising source: the hair products the salon used.” Iris told us. “I like to fix things – and this needed fixing. Rather than throwing prescriptions at the problem, we wanted to find a better way. 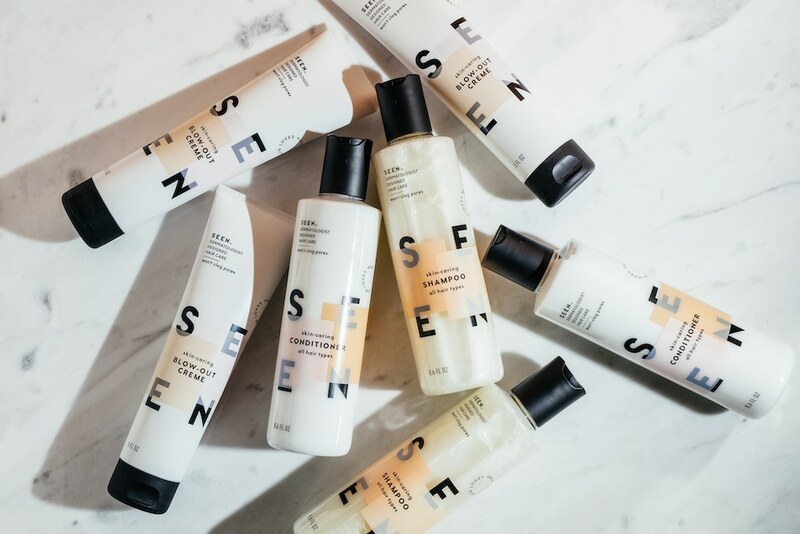 With SEEN, we’ve created a line that’s truly good for skin while bringing the real everyday joys of gorgeous hair, luxury beauty, and increased confidence.” Amen to that! We chatted to Iris about all things SEEN. What was the inspiration for SEEN? IRIS RUBIN: I noticed a few years ago that when I would get my hair done my hair would look great, though my skin would break out. For me, hair care products were a surprising and significant source of my breakouts. Amazingly as a Harvard trained dermatologist, I had learned very little about the impact of hair care products on the skin. I found myself having to choose between beautiful hair and beautiful skin, and thought why not have both? That was the start of SEEN, hair care that respects the skin. What’s on your hair is on your skin. It just makes sense to use hair care products that won’t clog pores, since we all know clogged pores can lead to breakouts. Shampoo runs down your face, chest, and back in the shower, and conditioner and styling products leave a residue, by design, that can get on your skin from your hair, pillow, or towel. SEEN products are clinically proven to be non-comedogenic (won’t clog pores) and non-irritating to care for the hair and the skin. What was it like starting your own brand? I.R: Super fun and super challenging! The fun part is that I love coming up with innovative solutions to problems, and I find it really gratifying to positively impact the lives of others. Skin issues can be soul deep. SEEN has been an opportunity to help people enjoy the benefits of beautiful hair and beautiful skin, and the confidence that comes with that. SEEN also allows me to be creative and scientific, to use both sides of my brain. All that said, it was a bit intimidating to start my own brand. It took a lot of perseverance, and sticking to our mission and core values, to get things right. It took us four years to develop SEEN. What are your hopes and dreams for the brand? I.R: We want to empower people to feel SEEN, to have the confidence to do the things that are important to them, and shine their brightest light. There is so much skin science can do for hair care, our initial launch is just the start. We have a pipeline of new products in development and plan to listen closely to our customers to meet their needs and wants. I also hope SEEN provides great support for our give back mission which is close to my heart, laser treatment for kids in the developing world with disfiguring birthmarks and scars. I spent a significant portion of my dermatology career at Children’s Hospital in the Washington DC area treating kids with disfiguring birthmarks and scars and made the tough decision to resign to launch SEEN. I.R: A great sunscreen and moisturizer are essential. I also love anti-oxidant serums for anti-aging. For me as a busy mom of 3, my beauty basics are great hair, clear skin, mascara and lip gloss. What are some of your favorite spots in DC? I.R: Glenstone, Air & Space Museum, Blue Duck Tavern, a walk on the canal. And my ultimate favorite is my twin sister’s house in Bethesda! We have kids the same ages and the cousins love to play.